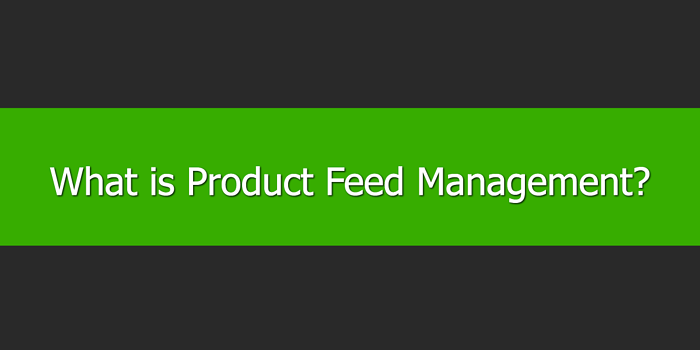 What is Product Feed Management? It also involves meeting data feed requirements and improving ROI. Optimizing feed quality is quite literally what it says on the tin. It’s the process of improving all the information within your product feed to help show your products to the right people when they are shopping and searching. The first thing to look at when optimizing a product feed is whether or not it meets all the requirements. You can check out the requirements here. Getting this right is the primary step to optimization. When you have done this, you can then look to further optimize in other ways. Try looking at optimizing your product titles. Adding a little detail and ensuring you are putting your most important information at the start of the title is a great place to start, as it’s one of the most important things shoppers look at. Also, bear in mind that your title may only have 25 characters displayed, so consider your title structures thoroughly. There are many other feed optimization tips you can use. Don’t forget to check out tips provided by your Google Merchant Center. Often, these can help improve shopping campaign ROI. The source usually refers to the product data in your store. It is paramount that the source quality is good, otherwise there is a high chance that the feed will not be good either. Within the source, there needs to be plenty of the right information. This is basic product information. However, leaving it out could hurt your feed, as well as the user experience for someone buying your product. It is also important to consider the image. This will be one of the primary things a shopper will look at before making a purchasing decision. Make sure you have the right resolution and that the image is visually pleasing. Getting the image right will often be the difference between someone purchasing or buying elsewhere. An effective way to help you get it right in a cost-effective manner is to onboard tools or expertise to help you manage your feed. Many people opt for a product feed management tool to get the best competitive edge they can. These tools help with a wide range of things for your data feed management, such as feed creation, inventory updates and much more. Effective product feed management is important to maximize shopping campaign ROI.